Express Entry draw figures for April 17 are below. There was no change in the Comprehensive Ranking System (CRS) cut-off threshold for the latest Express Entry draw, which place on April 17. This was the eighth draw of 2019 so far, and, once again, 3,350 more candidates are set to receive an invitation to apply (ITA) for immigration to Canada as a result. The CRS cut-off threshold remained steady at 451 points, the same as the previous draw, which took place on April 3. A tie-break was applied for the April 17 draw, meaning that not all candidates with 451 CRS points may receive an ITA. As multiple candidates may have 451 CRS points, those who had their profile in the pool before April 2, 2019 at 15:01:49 UTC were prioritized. With 27,900 invitations issued so far, 2019 looks set to be another big year for Express Entry, as Immigration, Refugees and Citizenship Canada (IRCC) ramps up invitations to reach its economic immigration targets. This may result in reductions in the CRS cut-off threshold as the year moves on. The record low Express Entry cut-off threshold ever for an all-program draw is 413. The following table shows the distribution of candidates in the Express Entry pool just five days before the latest Express Entry draw. The score distribution may change as people submit new profiles and other profiles expire. Want to improve your Express Entry CRS score? See our updated guide for tips you might not have thought of yet. Will Express Entry scores below 450 be invited in the future? Although the April 17 Express Entry draw is the fourth in a row in which the CRS cut-off threshold has gone down or remained steady, candidates may be frustrated that the threshold nonetheless remains above the 450 mark. There is every possibility that future Express Entry draws will result in candidates with scores below 450 points being invited to apply. As recently as January of this year, candidates with scores in the 430s were being invited, and IRCC has set an ambitious target to admit more economic immigrants through Express Entry programs in 2019 and over the next two years. On October 31, 2018, the government of Canada revealed its updated Canada Immigration Levels Plan for 2019-2021. It outlined Canada’s commitment to increase the numbers accepted through the Federal Skilled Worker Class, Canadian Experience Class, and Federal Skilled Trades Class to around 256,000 over the next three years, with another 200,000 or so new permanent residents to settle through the Provincial Nominee Programs (PNPs) before the end of 2021. Many invited Express Entry candidates benefit from obtaining a provincial nomination through an Express Entry-aligned Provincial Nominee Program (PNP) stream. You can get the latest updates on with PNP streams are open and available on our Canada PNP Live Tracker, which now includes a great tool to help you find the right PNP stream(s) for you. Moreover, changes to Express Entry have led to an increasing number of candidates who studied in Canada being invited to apply for permanent immigration to Canada. Those changes gave international students and graduates in Canada a points boost under the CRS, and you can learn more about studying in Canada here. More invitations are expected to be issued over the coming weeks, months, and years, benefiting individuals and families around the world wishing to make Canada their new permanent home. The Comprehensive Ranking System is a score out of 1,200 used to benchmark federal economic applicants against one another. It’s a part of the Express Entry mechanism, which was established in January 2015 to process permanent residence applications. The score is used as a cut-off point in Express Entry draws. It is designed to project a candidate’s likelihood of being economically successful in Canada. To enter the pool, candidates must be eligible under either the Federal Skilled Worker Class, Canadian Experience Class, or Federal Skilled Trades Class. Candidates who obtain a provincial nomination through one of the Express Entry-aligned Provincial Nominee Program (PNP) streams receive 600 additional CRS points and an ITA at a subsequent draw from the pool. A single candidate can earn up to 260 points for high proficiency in English and French, while a couple can earn up to 270 points. Moving2Canada readers can now avail of a seven-day free trial of online language tutorials. Simply select to Learn English or Learn French and complete the online form. If you are in the Express Entry pool but are yet to receive an invitation to apply, please visit our page on tips to improve your CRS score. When will the next Express Entry draw take place? There is no public schedule of future Express Entry draws, and so it is not possible to know for certain exactly when the next Express Entry draw will take place. However, IRCC has historically tended to conduct Express Entry draws about every two weeks, and often these draws take place on Wednesdays. However, Express Entry draws can, and do, take place on other days of the week, and sometimes there is a longer or shorter gap between one Express Entry draw and the subsequent, or previous, draw. The quickest way to find out when an Express Entry draw has taken place is to register a Moving2Canada profile and sign up for our newsletter updates. We also have a forum for Express Entry discussion where you can find help with your move. Our forum allows members to post questions and receive updates about permanent residency into their Facebook news feeds. Those interested in finding work in construction or engineering can seek help through our recruitment agency, Outpost Recruitment. Since 2012, we’ve helped great candidates get work across civil, infrastructure, and buildings projects in Canada. Permanent Residency applicants can consider more comprehensive health insurance policies, above typical travel insurance plans. Expatriate health insurance ensures access to the best possible healthcare while living and working abroad. 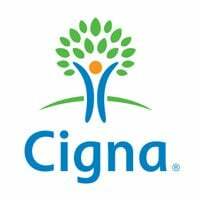 Cigna Global is a leader in these policies and provides 12-month cover for those moving to Canada, regardless of nationality or age. Click here to get a free online quote in under 60 seconds. And if you’re interested in saving money when moving abroad, you can find out how in our international money transfers guide. Learn about the Express Entry selection system and how you can become a candidate for permanent residency in Canada.